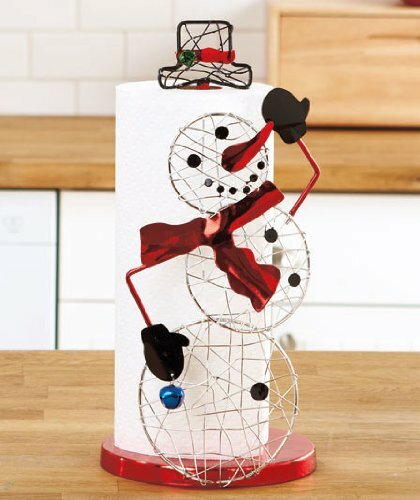 Last year I noticed that my neighbor had an awesome Christmas paper towel holder that was a snowman holding on to the paper towels with a jolly smile on his face. I thought this was just adorable. For some reason I have only ever had plain metal holders which server their purpose but really do not add any decorative flair. And as we all know, the holidays are the perfect excuse to decorate in any we want! When it came to looking at the different holiday paper towel holders, I looked for any that screamed Christmas joy. I see no reason in going for subtle if you are trying to spice up a holder. The ones below are all different and all relate to a different aspect so that you can find one that fits your favorite part of Christmas. Which one is your favorite? All of these Christmas paper towel holders can be used year after year and should never lose their charm. Or you can get a new one every year or multiples and set them up around the home instead of just in the kitchen. 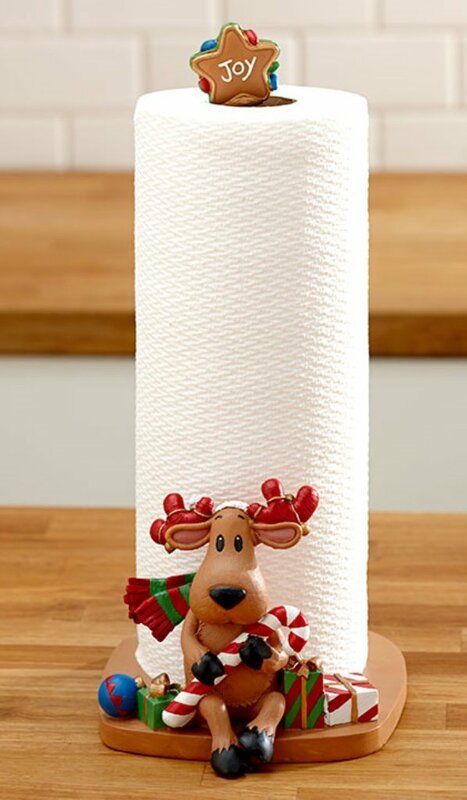 I think it would be cute to create a little tree around the center so that you can make creative decoration piece instead of only using to hold rolls of paper towels. That could make a fun family project. I can think of a friend of mine, who loves to have decorated household items, would like this. She has a snowman tissue holder and one of these would make a perfect addition. If you will be having people over this winter season, these could be a cute conversational piece at meal times or while working in the kitchen. And here comes my reoccurring theme, my favorite holder is hands down the snowman holder. I mean, just look at it! As I said in my post regarding outdoor snowmen decorations, snowmen are my favorite Christmas characters. In this case, this smiling guy is made from resin and snuggly holds onto the rolls that are placed between his mittens. Granted they did a good job choosing a roll of paper towels which match the holder but I think any kind of roll would look great. Don’t get me wrong though, the other options I thought were also good. They each have a decorated matching screw on top to hold the rolls in place and match their respective decoration. The reindeer is not like your traditional reindeer and has been created with a variety of festive colors. I want to say that he is wearing ice skates but it could just be shoes, either way, looks neat. Update: Hey guys! Happy holidays, this season though the Reindeer that is pictured in the post image has been made unavailable. 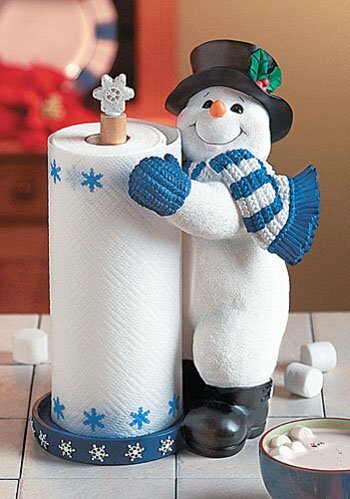 I hope everyone enjoys the other snowman replacement to keep your paper towels festive! Would you use these throughout the year or only pull them out when it is time to start putting up the decorations?